With this year’s emerging office design trends and the shift in what employees are looking for from their workplaces, businesses are finally grasping the incredible impact their workspaces can have on employees and clients. By nature, dynamic and thoughtful office design directly impacts corporate culture. Because building brand loyalty with employees isn’t going to work if all you do is focus on logos – instead, communicate your brand and its values with interior design. Think about your employees, your leaders, your clients, your goals to nail down the direction of your redesign and the culture you want it to embody; an office redesign presents the perfect opportunity to revitalize your corporate culture. Baby Boomers, Gen Xers, Millennials… today’s workplace is invariably a blend of employees and leaders from different generations – and they all want different things. 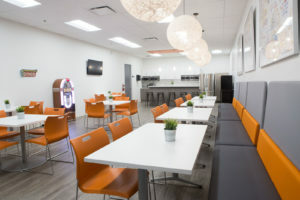 Boomers want quite, private offices with minimal distractions, but they also want to socialize so the break room matters. Gen Xers are adept with technology by long for the analog days, so they’re looking for unplugged meetings. Plus, they’re focused on environmental sustainability and like to see that embodied in the office. And Millennials, well, they’re all about ambiance, biophilic design, and collaborative workspaces. Put all those needs together, and an office redesign can definitely benefit everyone. If productivity is down, employees are bored or distracted, and wellbeing is suffering, an office redesign is in order. 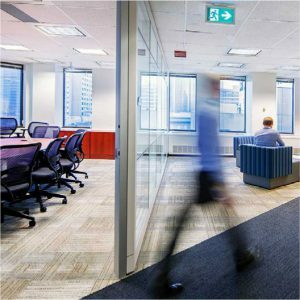 Did you know that air quality, temperature, lighting, acoustics, and office configuration impact productivity? Good office design reduces task completion times and increases communication, job satisfaction, and emotional wellbeing. Not only will your office need to be reconfigured and redesigned to accommodate a larger team, but an uninspired workplace is also hard on business – it can cause absenteeism, high turnover, poor morale, and hinder client relationships. You want an office that attracts and retains both staff and clients and a redesign that includes flexible and collaborative workspaces, cutting edge technology, and a workspace that feels a bit more like home. Or maybe you want to decrease costs – either way, redesigning for sustainability reduces energy costs, gives you a competitive edge, and increases workplace wellbeing. Going green can be as simple as replacing lighting and increasing air quality or as complex as going completely high performance. Even more than your website, your office is your brand’s chance to make a memorable and crucial first impression. You want your office to embody your brand, to make your business stand out, to invite guests in, to communicate your values, and you want it to reflect the kind of work you do. Gone are the days of preventing socialization at work. 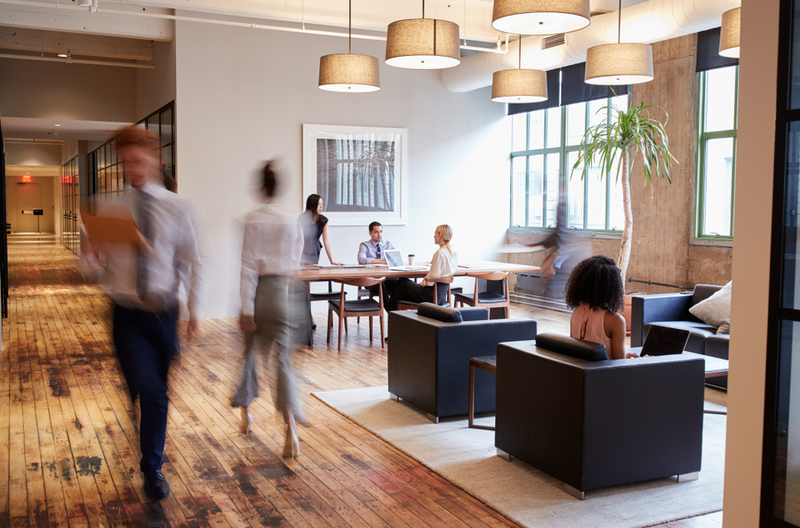 Today, offices are designed with social pathways to engender collaboration, communication, and innovation – how an office is laid out determines how its inhabitants interact. Redesigning your office to encourage that interaction will strengthen your organization. Think it might be time for a redesign? Contact us to today to learn about our all-inclusive design build service. Simply fill in the form below and we will be in touch.